Where to start? There were so many great sights at Laguna Seca over the weekend that I'm not even sure how to go about sharing it all with you guys. While I get more photos organized, let's go ahead and take in some more scenes from beautiful Monterey. 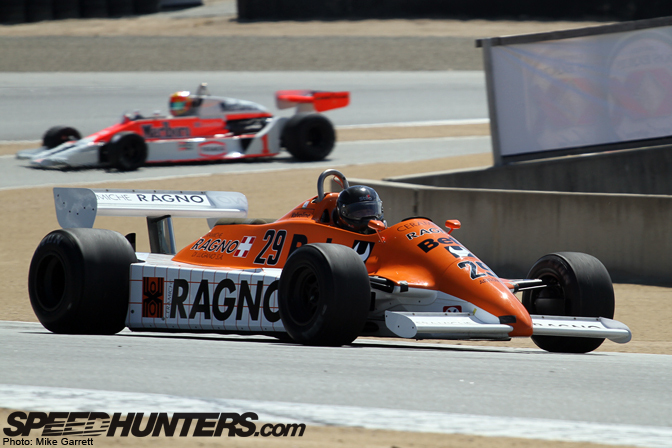 There are so many great spots to catch the action at Laguna Seca, but in the end you just can't beat the Corkscrew. 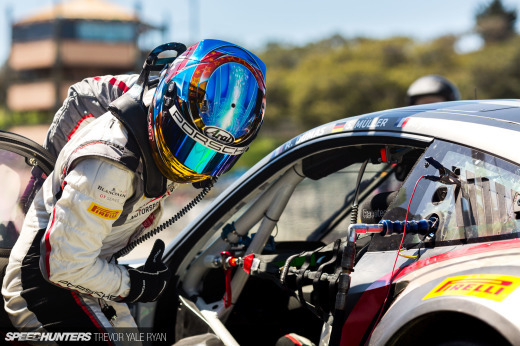 This was the spot I chose to shoot the IMSA and GT race group on Saturday afternoon. 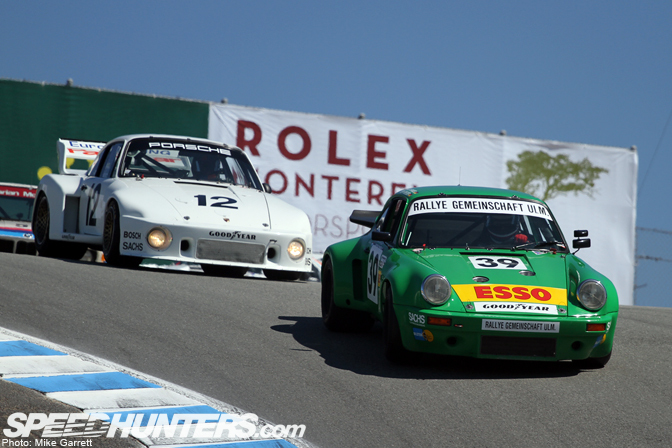 Watching the Porsche RSRs and 935s coming down the hill is a beautiful thing. 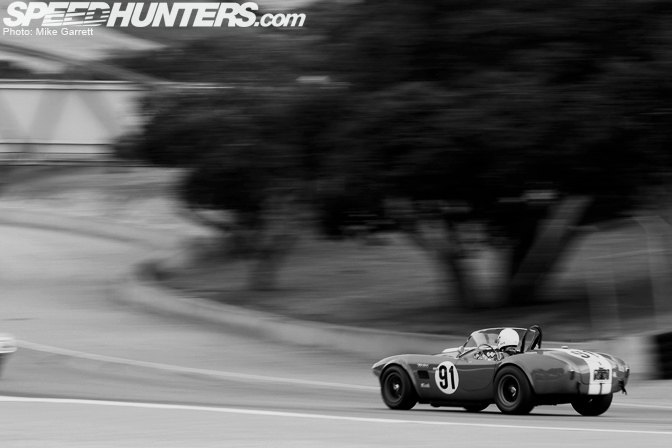 A 289 Cobra dips down toward the Rainey Curve during qualifying on Friday. 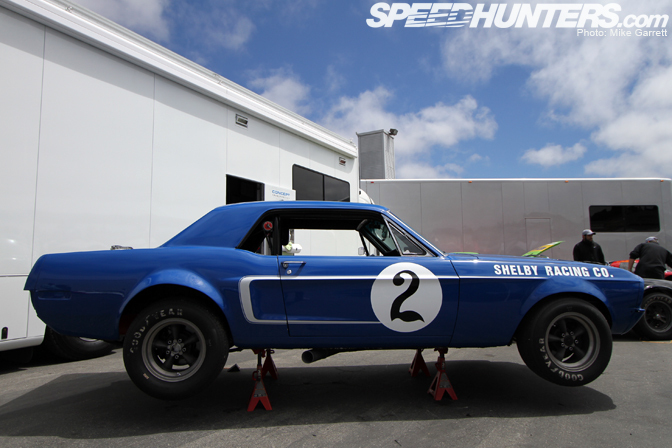 It's been announced that the Shelby Cobra will be the featured machine of next year's event. I don't plan on missing it. 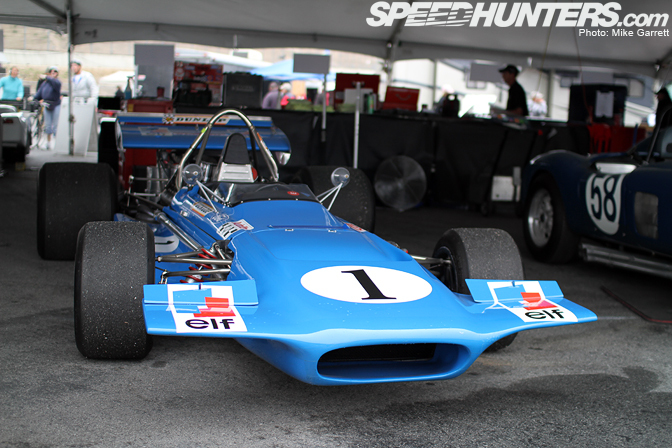 The March 701 Formula 1 machine from 1970. Awesome! 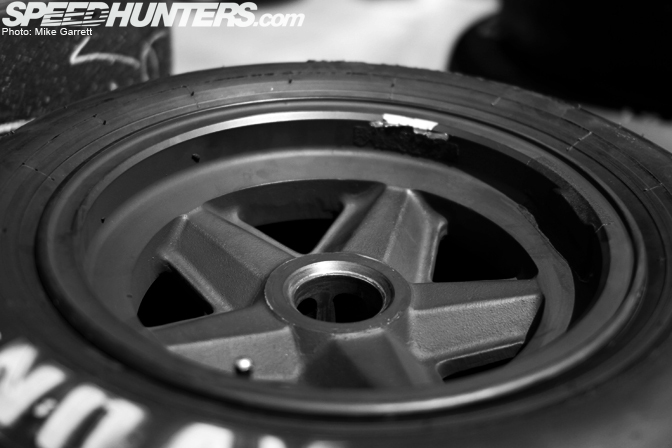 Love the wheel design. Does this remind anyone else of the Longchamp XR-4? Sometimes it's better to just forget how much these cars are worth and simply enjoy the spectacle. 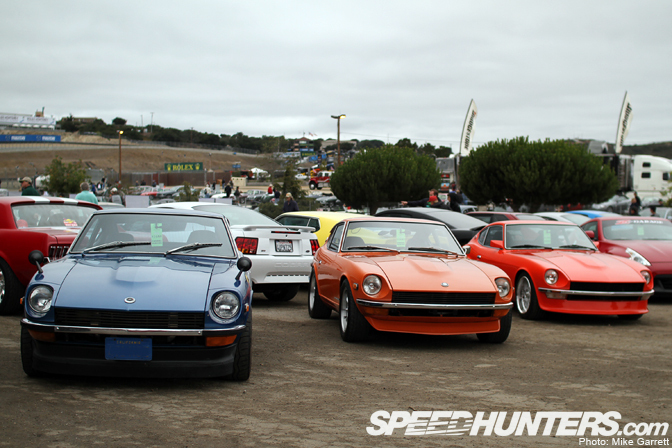 A trio of S30s in the Nissan/Datsun section. Got me thinking about how fun it would be to bring my own Z over to Monterey for a few days. 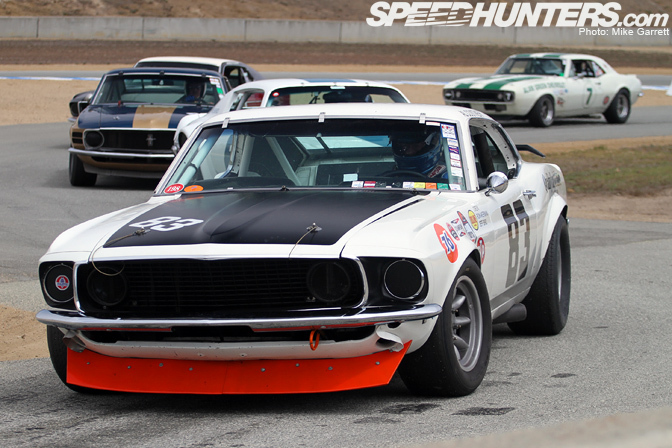 A Boss 302 leads the Trans Am pack into the paddock following qualifying on Friday. Let's not let the 911s get all the love. Spotted this 914-6 in the paddock. 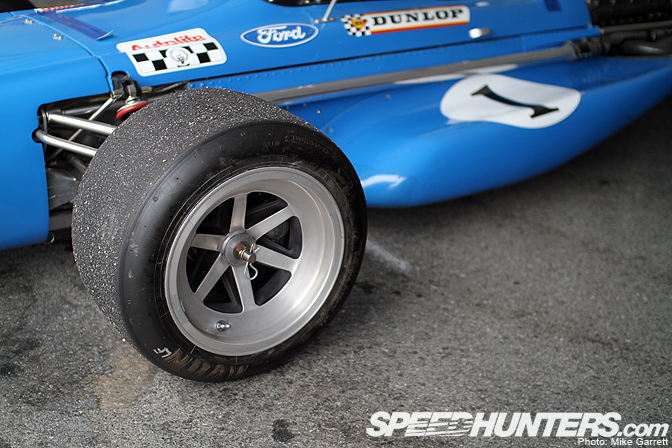 So how many vintage F1 fans do we have out there? They shouldn't have any problem recognizing this '81 Arrows A3. Anyone who has ever called Mustang Coupes girly, take it back! 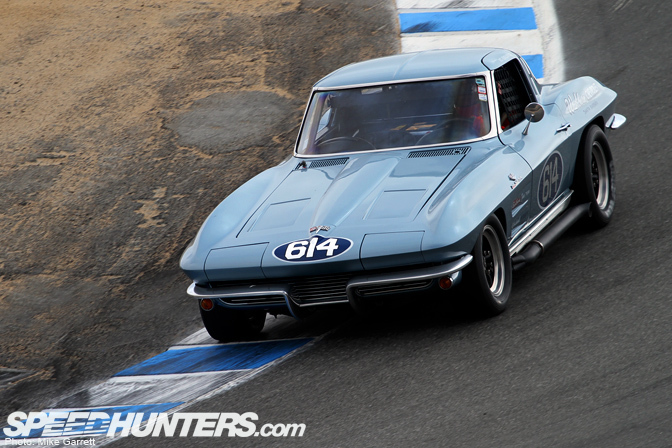 A '63 Corvette Z06 dips through the Corkscrew, sidepipes filling the damp ocean air with V8 music. 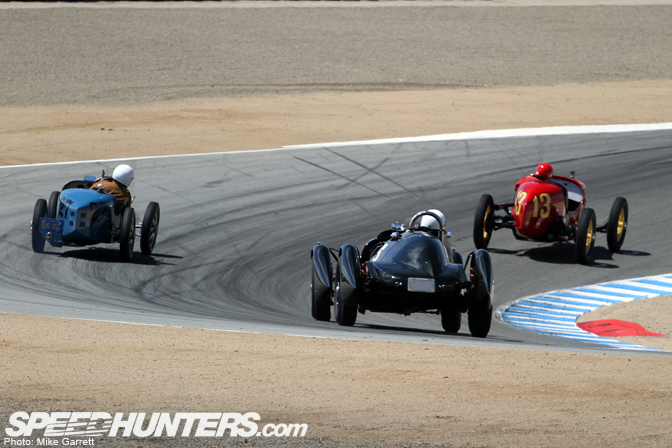 It's quite interesting to watch the drivers of the pre-1940 race cars lean into the corners like motorcycle riders. What an experience it would be to drive one of these things. 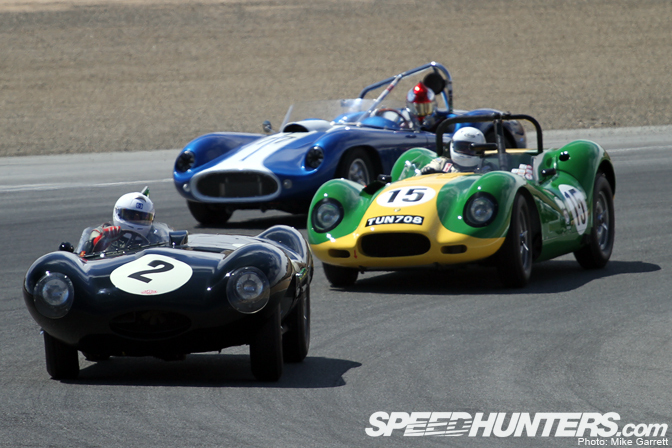 The gorgeous Jaguar D-Type leads a pair of its late '50s contemporaries through the Andretti Hairpin. 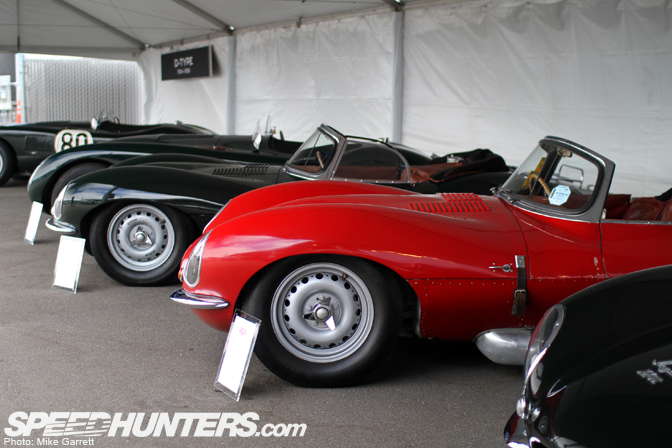 Speaking of the D-Type, here's a stunning line of them in the Jaguar display. 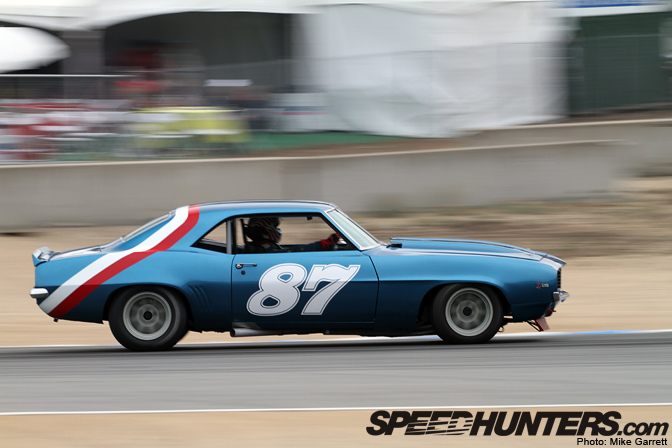 A '69 Z/28 takes turn five at speed. USA! USA! USA! I saw so many 458s over the course of the weekend that I stopped keeping track at some point. 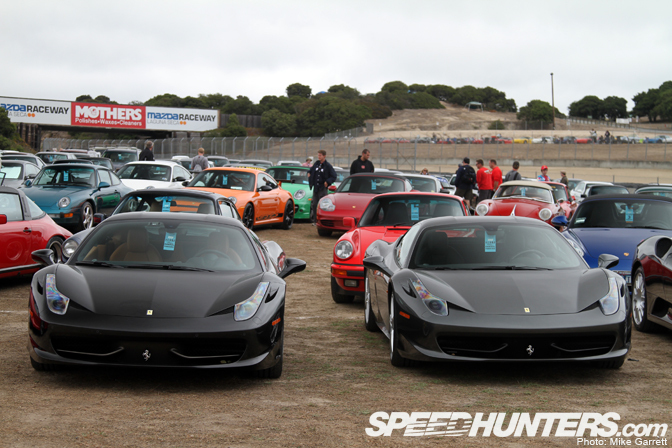 Here's a pair sitting in the Ferrari section of the Car Corral. 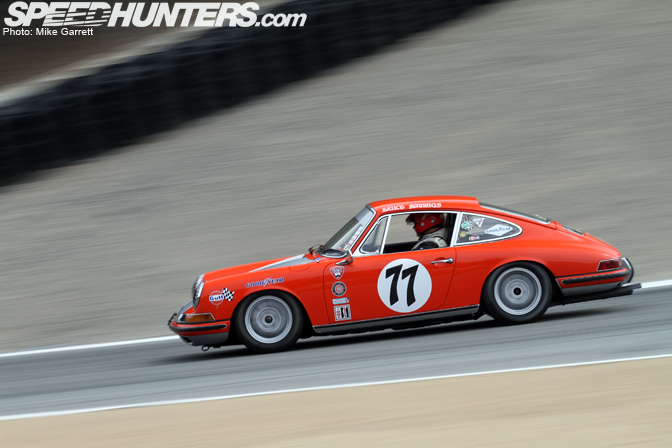 Stock-bodied and low, this '68 911S looks fantastic coming down the hill from the Corkscrew. 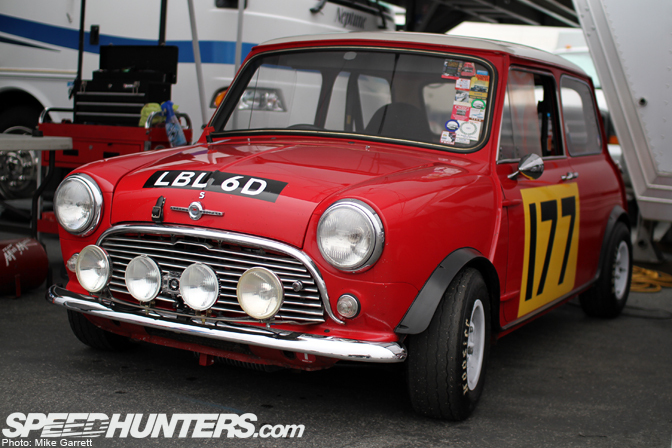 From multi-million dollar Ferraris and thumping American V8s to the fun-loving 1966 Mini Cooper S. Dig the variety. I've got plenty more photos to sort through so I'll stop here. 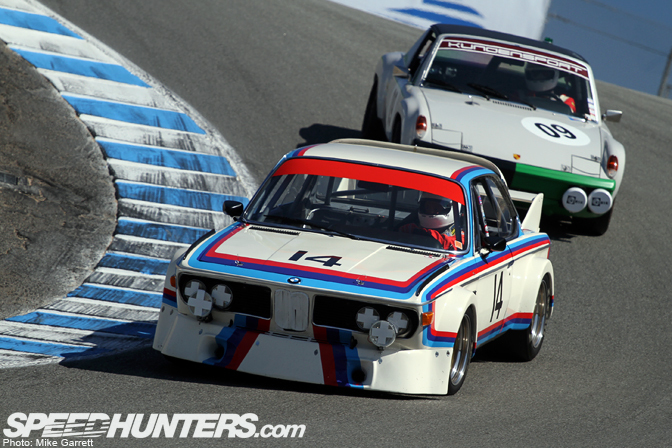 Much more from the Rolex Historics on the way! 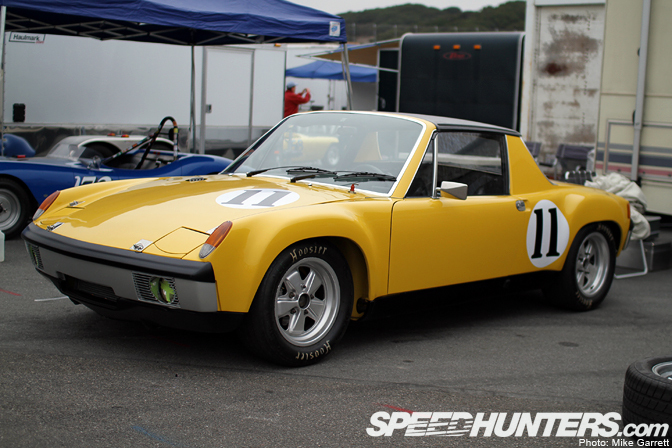 mint looking this 914-6 chillin' in the paddock is high on my wish list. so many cool looking cars in here.. Thanks. a simpler time when cars were just mechanical engineering and gasoline. electronics are awesome and all, but you cant deny the raw awesome of these old cars. Awesome stuff, Mike  what an amazing event! Looking forward to more. 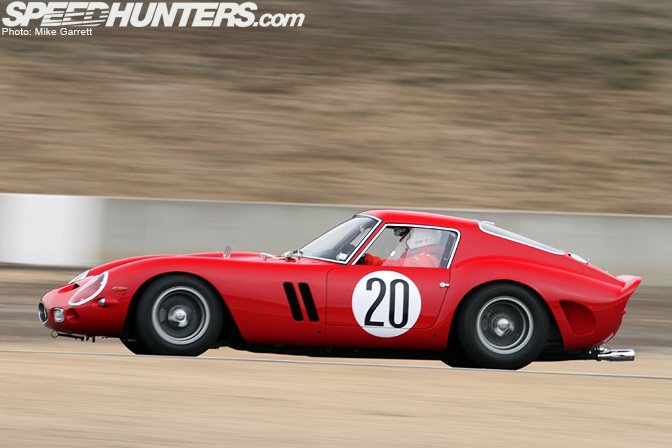 The 250 GTO is just amazing. Don't Just think about it ...or put in on your wish list, Do it!! 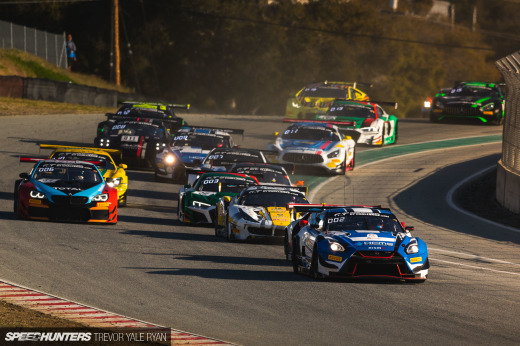 I'm lucky in that I'm a local and live 15 minutes from Laguna Seca. I've been going every year since 77 (the event started in 75). It's now tradition and my friends that have moved away still come back every year for this event. Don't forget the other events during the week like the Concourso Italiano or the Legends of the Autobahn. Thanks man. One for the bucket list. wow...what great photos! I love the Boss 302! that 68 911 was siick! Weasel I agree completely! i'd trade every 997 gt2 and ferrari 458 in the world if they'd just bring back cars like these. The conectedness the driver must feel to the track via the machine must be several orders more "real" than can be felt through ABS, TCS, YCD, PCCB, power steering, ACD etc etc. 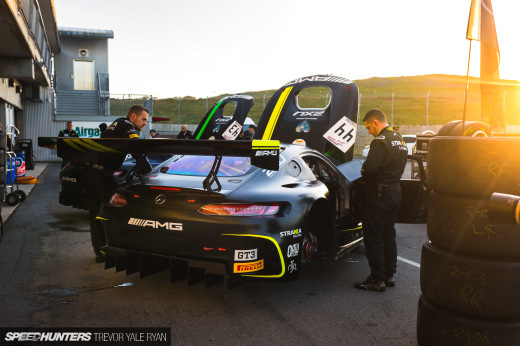 Real motorsport this! "Speaking of the D-Type, here's a stunning line of them in the Jaguar display"
Actually the first couple of cars in this photo are Jaguar XK SS's - these were road going versions of the D Type race car. Recently voted by Octane magazine as the coolest car ever! 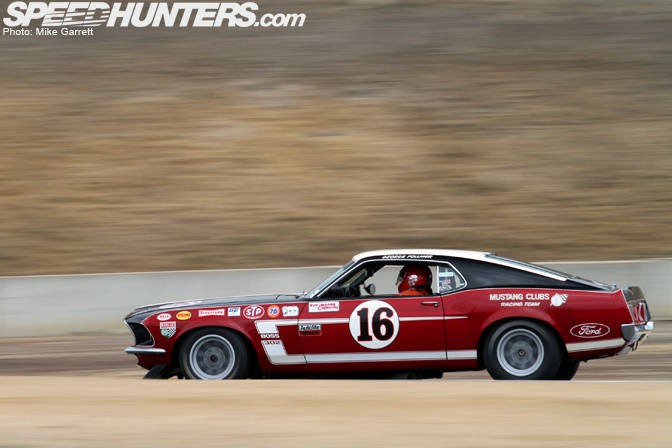 One was famously owned by Steve McQueen the "King of Cool".